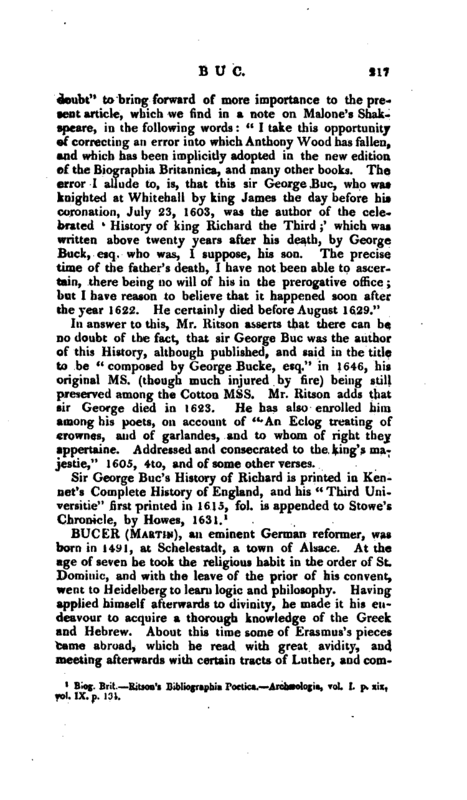 In answer to this, Mr. Ritson asserts that there can be no doubt of the fact, that sir George Buc was the author of this History, although published, and said in the title to be “composed b} George Bucke, esq.” in 1646, his original ms. (though much injured by fire) being still preserved among the Cotton Mss. 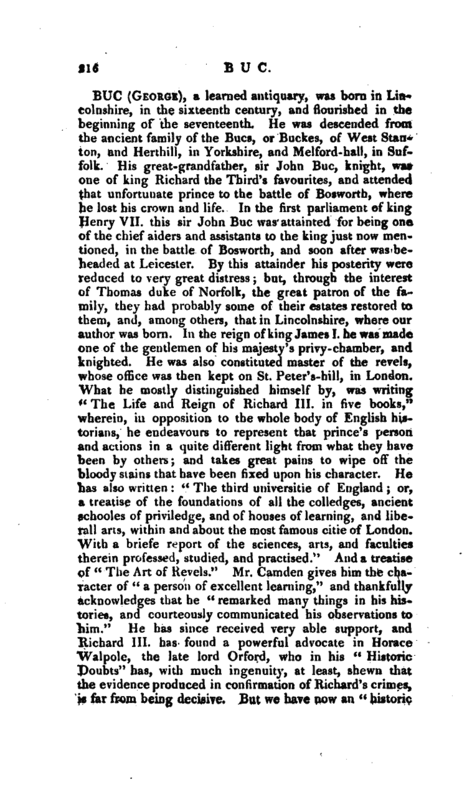 Mr. Ritson adds that sir George died, in 1623. He has also enrolled him among his poets, on account of “An Eclog treating of crownes, and of garlandes, and to whom of right they appertaine. Addressed and consecrated to the king’s majestie,” 1605, 4to, and of some other verses. Blog. Brit.—Ritson’s Bibliographia Poetica.—Archæologia, vol. I. p. xix. vol. IX. p. 134.